My family knows that whenever I bring up a concern about something, I don’t want to be told, “Don’t worry about it.” First, just because I am concerned about how a thing is to be done by whomever, however, and whenever; it doesn’t necessarily mean I am worried. And If I am worried, simply saying, “Don’t worry!” is not going to make it better for me. I take my role in my family seriously, and while I do admit that I can get worked up over nothing at times (or often? ), I don’t believe in simply going with the flow, throwing caution to the wind, the que-sera-sera sort of thing. If something is really not important, that’s one thing. But if it is important, then it should be done well and in a timely fashion. So don’t tell me, “Don’t worry about it.” I want details. 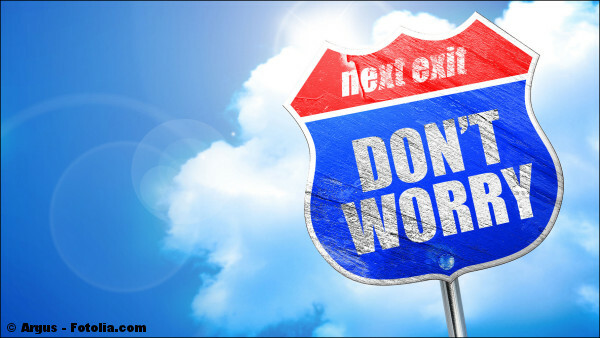 For those of you of the more laid back variety, you might be fine with “Don’t worry about it.” In fact, you might interpret faith through your laissez-faire lens. The less detail the better as far as you are concerned as you let go, and let God carry you along through the twists and turns of life. I admit there are times when I should do just that, but is that really what faith is all the time? Not according to this week’s Torah reading. God through Moses is preparing the people of Israel to face their greatest challenge to date: the conquest of the Promised Land. This is actually the second time they are dealing with this as a nation. It didn’t go well the last time almost forty years before, when they freaked out hearing about the land’s inhabitants. Their lack of faith resulted in thirty-eight additional years of wilderness wanderings until almost all the adults of that generation died out. Interestingly, while many of the current generation would not have been born yet, there would have been a good number who would have remembered the last time decades earlier. But was the lesson they were to learn? Don’t worry about it”? Let go and let God? It wasn’t the lesson then, and it wasn’t the lesson now. The last time, only two of the leaders who had scouted out the Land, Joshua and Caleb, truly trusted in God. But it wasn’t as if faith blinded them to the challenges they faced. Faith in God enabled them to see those challenges clearly and understand that God would give them what they needed to overcome them. As Moses anticipated fear in the hearts of the people, he didn’t put them down for it. Rather he took their concern seriously and encouraged them by providing details as to why God could be trusted. First, “you shall remember what the LORD your God did to Pharaoh and to all Egypt” (7:18). Remember what God did in the past. Many of these people saw the manifestation of God’s power in Egypt. While he may not do the exact same things in the future, he who enabled Israel to overcome the world power of its day is more than able to equip them to conquer the peoples of Canaan. Second, “the LORD your God will send hornets among them, until those who are left and hide themselves from you are destroyed” (7:20). While I am not sure what those “hornets” refer to exactly, God will not leave them to their own devices, but will “bug” their enemies (pun intended) until they are defeated. Third, “the LORD your God is in your midst, a great and awesome God” (7:21). The people of Israel will not be alone. God’s presence with them is assured. Fourth, “he will give their kings into your hand, and you shall make their name perish from under heaven” (7:24). God’s presence is more than sweet sentimentality, he himself through them will bring about victory over their enemies. This is a lot more here than “Don’t worry about it.” Israel had nothing to worry about for good reason. Faith is not a disconnected otherly consciousness, but an informed, intelligent, detailed understanding of the way things really are when God is positively involved in our lives. If you have a concern today. Don’t just not worry; listen to what God has to say about it. You might be surprised how detailed his answer to you might be. This should be a timely message as a new fall season approaches.